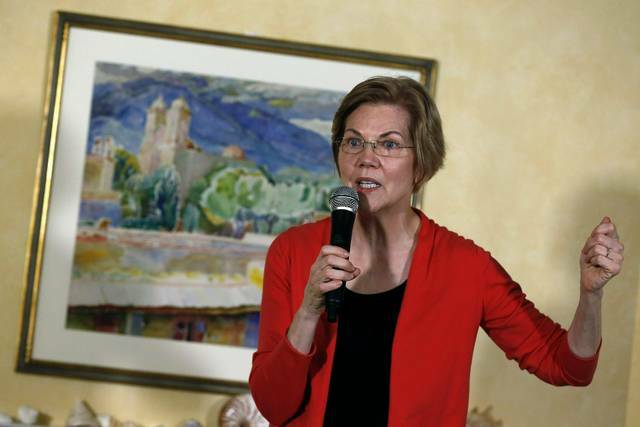 WASHINGTON (AP) — Advocates for gender equality are reckoning with what one called a “wonderful challenge” — four or more women running for president in 2020. For many activists, that means a Democratic field more reflective of a party that counts women as a crucial voting bloc. But the prospect of multiple women seeking the White House also presents obstacles, with no single female candidate holding a claim to women’s votes to the degree Hillary Clinton did in 2016. The women’s vote, and groups that provide financial and grassroots support, could split. Looming over it all is persistent gender bias and the question of whether Americans are ready to elect a female president. For now, many women are basking in the success of the 2018 midterms, which sent a historically diverse class to Congress. Demonstrators were gathering in cities nationwide Saturday for events tied to the third annual Women’s March. 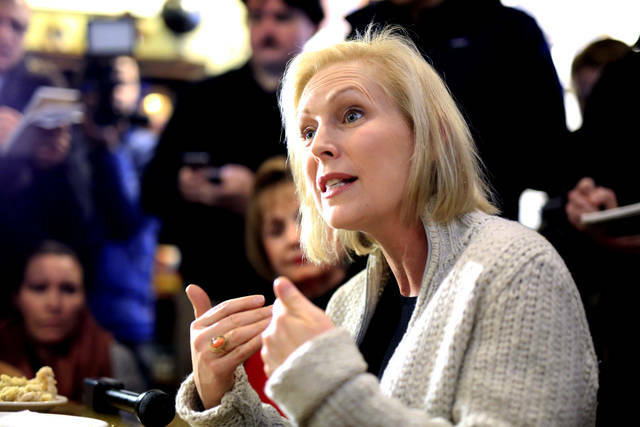 On Friday, she met with voters in Sioux City, including activists who asked her about role as the first Democrat to publicly call for Franken’s ouster. The Minnesota Democrat resigned amid allegations he had groped several women. COLUMBUS— State Rep. Allison Russo (D-Upper Arlington) today (Jan. 18) announced that she is committed to helping alleviate the strain this unprecedented federal government shutdown is putting on families in her district. Thousands of federal workers and contractors are reportedly furloughed in Ohio as the shutdown moves into its 28th day today. Recent reports show nearly 700 federal workers in Ohio have filed for unemployment compensation due to the federal government shutdown. Government retirement programs have received thousands of requests for hardship withdrawals, with furloughed workers being forced to borrow from their future savings just to pay the bills. These numbers are expected to rise as families face increasingly dire financial situations. Additionally, SNAP and HUD benefits for thousands of Ohio seniors and families are also in jeopardy. If the federal government does not open soon, state and local officials will need to make tough decisions to ensure Ohio’s children, families, and economy are protected from bearing the brunt of Washington’s dysfunction. Rep. Russo is ready and willing to work with the DeWine administration to find solutions that give hard-working Ohio families and businesses the certainty and security they deserve during this federal shutdown. Any constituent impacted by the shutdown should not hesitate to contact her office at rep24@ohiohouse.gov or 614-466-8012, and staff will work to connect them with resources available to furloughed workers. COLUMBUS— The Ohio House Democratic Caucus today (Jan. 18) announced the recent appointment of Rep. Erica C. Crawley (D-Columbus) to the bipartisan Correctional Institution Inspection Committee (CIIC), the state’s prison oversight body that leads investigations into the management and operation of Ohio’s 31 prisons, including three youth facilities and one federal institution.